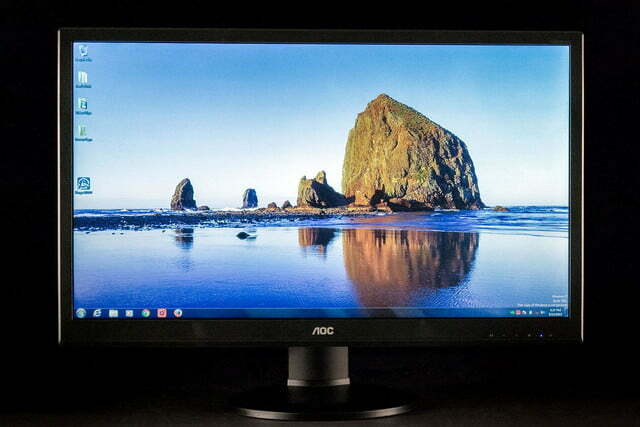 While every company imaginable seems to be piling into the budget-4K monitor market, the AOC U2868PQU 4K is proof that only a select few are qualified to do it right. 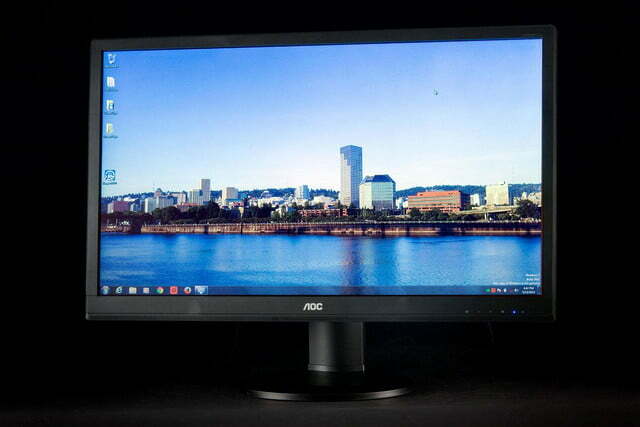 The newest in what’s sure to be a long and storied lineup of budget 4K monitors by the end of 2015, AOC’s fresh U2868PQU 4K display is a screen that’s full of contradictions. The U2 (the shorthand we’ll be using for reference from now on, not to be confused with the Irish band), enters itself into the range of sub-$600 4K displays that are reducing the impact your wallet might feel from splurging on higher-end models, and joins the ranks of other enticing choices like Dell’s P2715Q and CTL’s X2800. Where does the U2 fall on the spectrum between suspiciously cheap and ultra luxurious? The U2 makes few allusions to being anything more than it is. 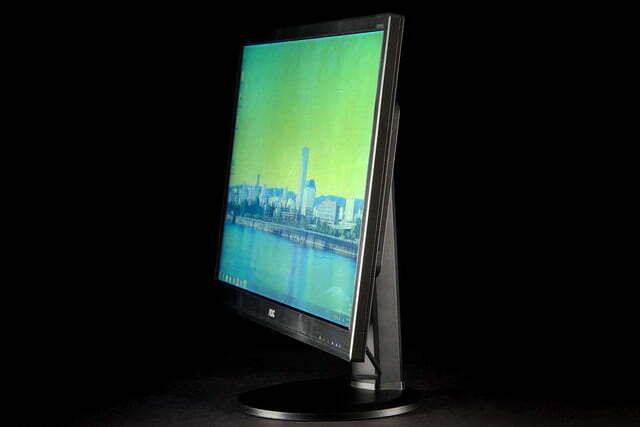 It’s a cheap, but functional 4K monitor, and the design of its shell and base directly reflect that. Everything is black, plastic, rectangular, and simple. 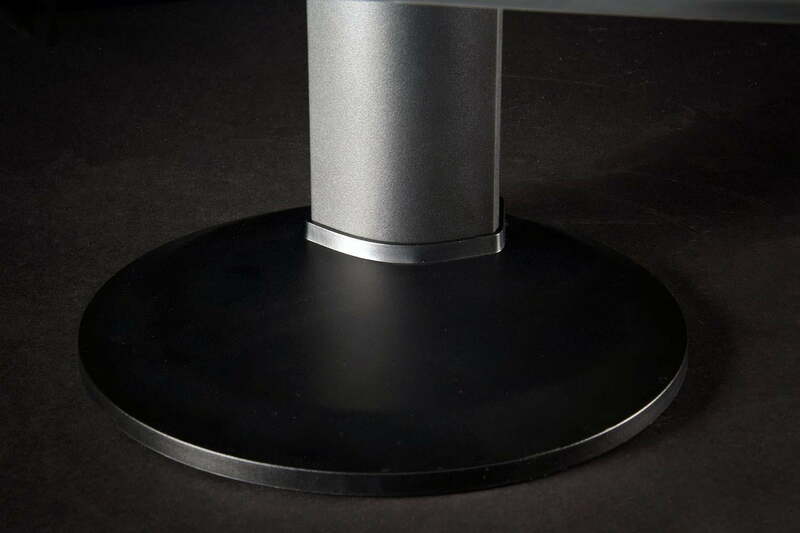 Of all the 4K monitors we’ve tested this is the one that impressed the least on pure aesthetics alone, but the base is still solid enough to keep the display firmly in place, even on an uncertain tabletop. 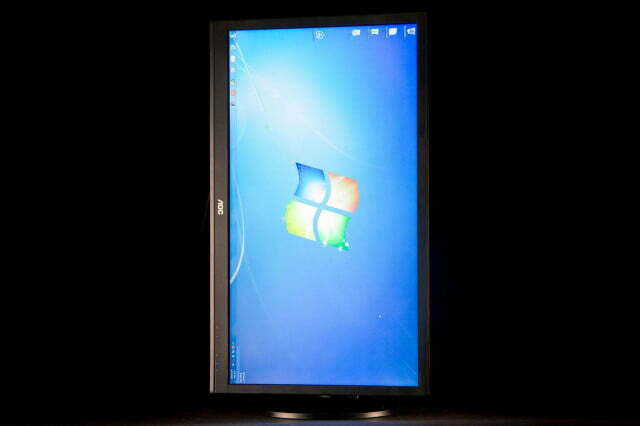 Plus the screen itself is very easily adjustable with only one hand, which feels like a bonus no matter what. 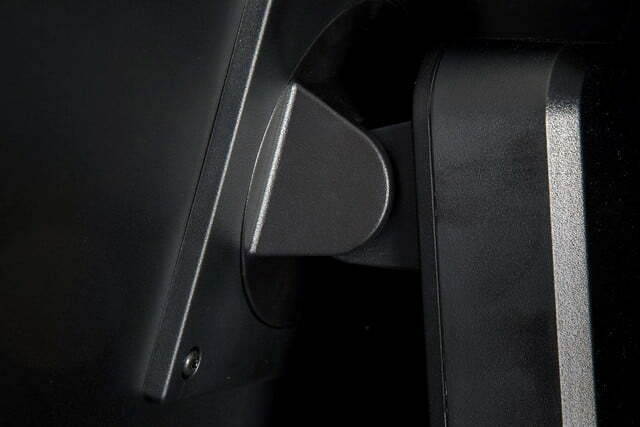 Regrettably there are no options to swivel left to right, but a VESA mount configuration is available in case you choose to break out the screwdriver and attach your own stand. 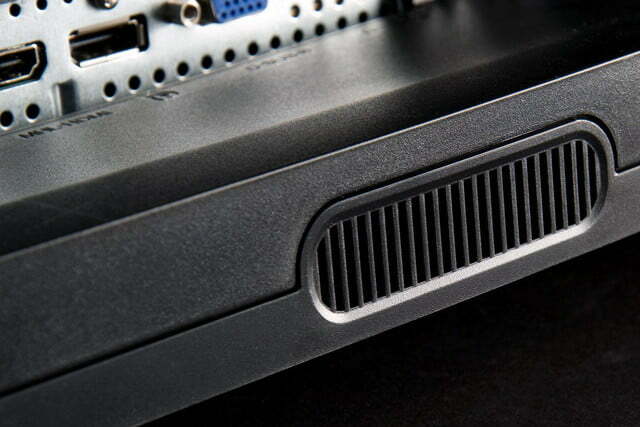 One somewhat distinctive feature is the button-less design of the front panel, which detects a user’s touch through a capacitive coating rather than bulky inputs. Out of everything we mentioned, this is the only add-on that really stuck out. 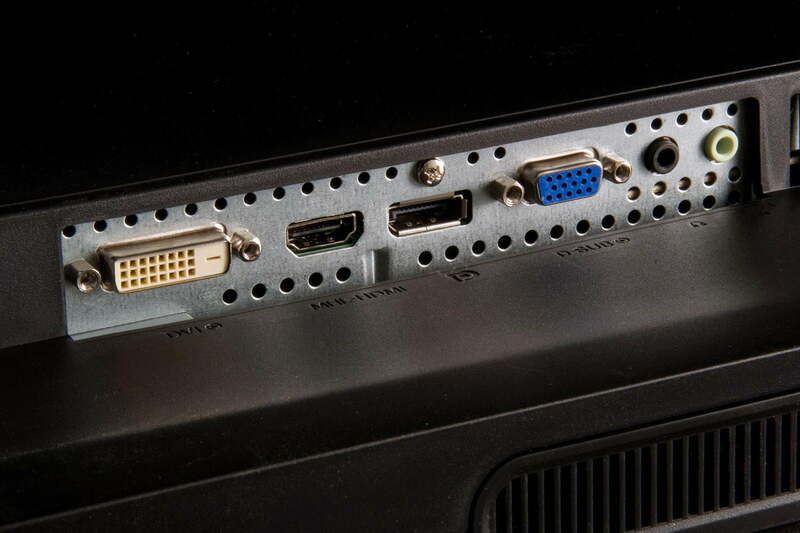 On the back of the U2 you’ll find the standard array of connectivity options we’ve come to expect in most 4K options these days, regardless of the price. We counted a VGA port, a DVI port, DisplayPort, and an HDMI jack that doubles as MHL-in. In addition to that there’s a headphone jack and an audio input, as well as a USB 3.0 upstream port, two USB 2.0 ports, and two USB 3.0 ports. Menus on the U2 were simple enough to navigate, and contained everything from brightness and contrast calibration to setting up Picture-in-Picture in case you’re running two machines at once from the same display. Other options included the ability to adjust gamma correction, and on/off for economy mode (an automatic way to dim the brightness/contrast to minimum values at once), overdrive (which offers your choice of four different modes for response times, slowest to fastest), an on/off for dynamic contrast ratio, and an adjustment for three different color temperatures depending on the type of work you’ll be doing throughout the day. Although it took a little doing to get 4K working at full capacity (we ran into an instance of 1080p upscaling on high-speed HDMI when we hadn’t booted up the test machine with the port plugged in), once everything had been properly configured, the results more than made up for the struggles required to get there. Images were crisp, color was bold, and 4K videos streaming off YouTube and Netflix looked just as gorgeous as you’d expect them to. 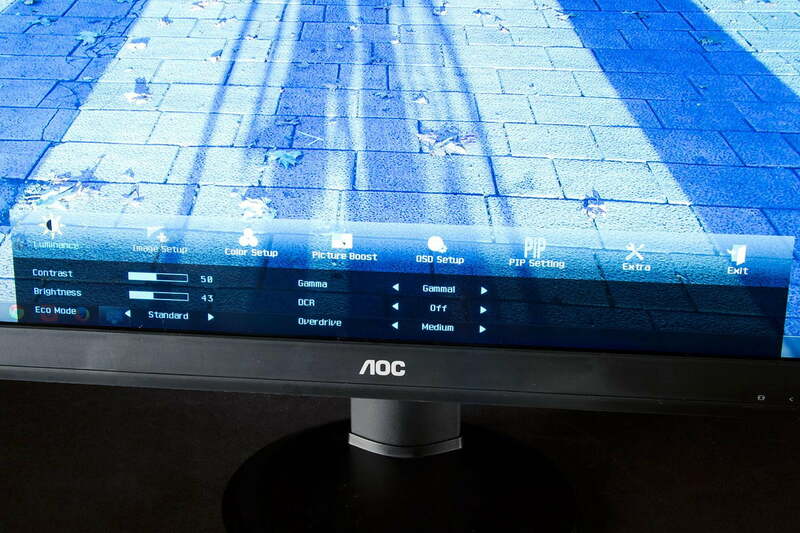 Gaming tests showed luscious colors, though there was noticeable input lag. Gaming tests proved just as luscious, though there was a noticeable amount of input lag while playing high-clickrate games like League of Legends and Starcraft II (more on that later). In our sRGB gamut test and AdobeRGB, the U2 posted mediocre results. Pre-calibration it topped out at 96 percent sRGB, and 73 percent of AdobeRGB, while brightness levels only pushed somewhere in the range of 200 lux. These results are sub-standard when pitted against the U2’s direct competition in this price bracket like the Dell P2715Q, or even the CTL X2800. 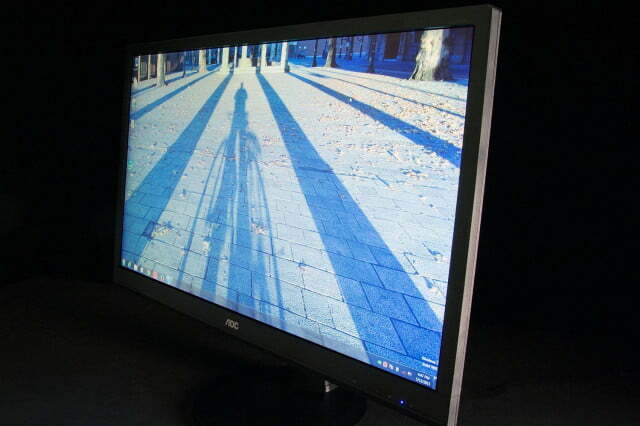 That monitor topped out at 100 percent of sRGB in our tests, with an AdobeRGB result of 79 percent. The U2’s contrast ratio was similarly disappointing, with 450:1 at half brightness, and 490:1 when settings were totally maxed out. By comparison, Dell’s entry was able to achieve 630:1 and 650:1, respectively. Post-calibration unfortunately wasn’t any better, clocking a slight decrease of sRGB at 95 percent. Contrast was only able to inch itself up to 460:1 at half-brightness, and 490:1 at full. This was miles below what we saw on the Dell P2715Q, which itself scored 650:1 and 720:1, respectively, after calibration. Speaking of brightness, even at post-calibration, the most we were able to squeeze out of the U2 was just 203, yet another area where the monitor couldn’t keep up with similar options in its price category. This was the only area where the U2 barely kept pace with the Dell, which pumped out brightness levels of 229 lux. The gamma curve was good, though, bumping out most of the competition with a figure of 2.3 (2.2 is the target). Overall we couldn’t see much of a subjective difference in the 4K test images pre or post calibration, if only for the fact that everything already looked just as good as we imagined it would right out of the box. The U2 comes with a limited three years parts and labor warranty, which only guarantees the panel itself for the first 12 months. By comparison, the Acer B386HK and the Dell P2715Q both have three-year full warranties which will cover any manufacturer defects for all 36 months, which drops the long-term value and viability of the U2 considerably. 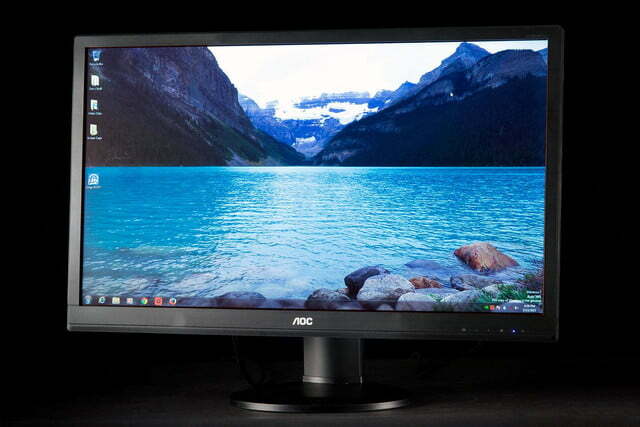 In the end, the AOC U2868PQU isn’t the bargain it looks on paper. This inexpensive and sturdy VESA mount is a great way to add a bit of extra ergonomic adjustment to this AOC monitor. This excellent calibration tool from Datacolor will help you extract maximum color accuracy and contrast from this inexpensive display. 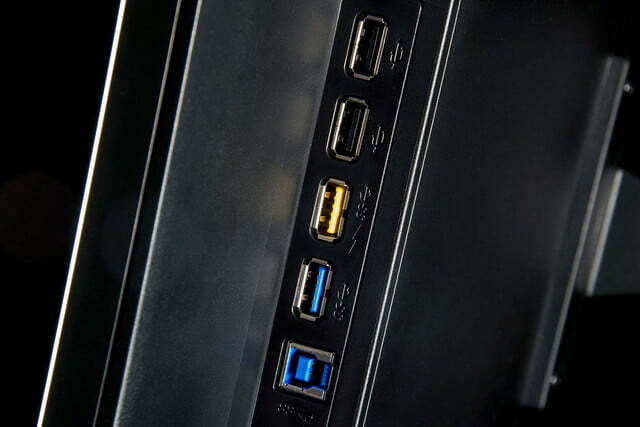 While the AOC comes with a DisplayPort cable, having a spare handy is never a bad idea. Most retailers sell this display for $550, though we did find one retailer that priced it at $450. That’s not a lot for a 4K display, but Dell has aggressively slashed the cost of its P2715Q, which won our editor’s choice award earlier this year. It is now as low as $560 at several retailers, and the Dell is clearly superior by every metric. Then there’s the input lag. Testing on a Velocity Micro Z40 Edge PC equipped with a GTX 960 4GB video card, all four inputs we tried noticeably suffered whenever we switched the resolution into 4K, despite testing fine in 1080p and below. This was a serious problem in games. At this price, we’d recommend going with something like Dell’s P2715Q, or Acer’s B286HK instead. 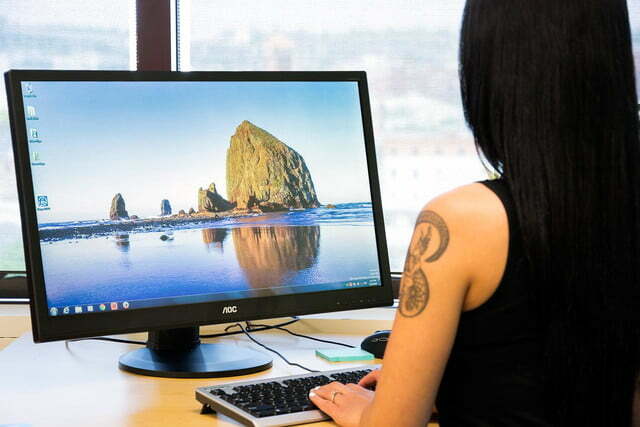 Both those monitors wowed with many of the same features we found on the AOC and offer far higher image quality for just slightly more. AOC’s U2 cuts too many corners in its effort to hit the lowest price point possible.